. 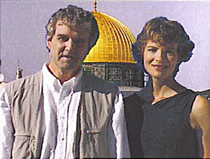 ..Mr. Piper has written for the American Free Press and previously The SPOTLIGHT. Please see his author profile page with links to other works.. Author of The Serpent's Sting, The Viper's Venom, and The Rattler's Revenge, comprising Books I, II, and II of his highly acclaimed Barbarians Inside the Gates series. . . .Col Grand Pre was a former senior Pentagon official. He wrote about a silent coup against America on 9-11 by insiders, Please see his author profile and archive. A former U.S. Army intelligence officer, Capt May was the founder of an informal group of civilian and former military volunteers who use the Internet in an effort to thwart false flag attacks and expose other high level criminal activity by an alien establishment. The need for intelligent cyber activism is more timely than ever. Please see his web page and the Mission of Conscience Trilogy that explains the modus operandi of his group. Leading DU expert comments on one of the greatest environmental disasters and genocidal war crimes in history. Hundreds of thousands of U.S. servicemen and innocent civilians are victims. Please see his author archive. Our First Amendment rights are under extremely serious continued attack. 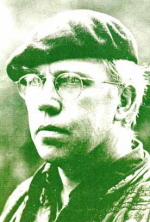 Rev Pike has been a leading activist to thwart legislative initiatives similar to what have already destroyed basic rights in Canada and most European nations. Please see his articles archive about the latest threats, and his calls for activism in defense of freedom. Includes views of other writers on the thought police threat. An experienced business and military person addresses a wide range of topics, from technological innovation and economic analysis to national media brainwashing, loss of civil liberties, and political crises. Please see his author archive. An Act of War Against the "WASPiest of the WASPs." The 7-22 Oslo bombing and Utoya Island shootings were very likely another Mossad-CIA-MI6 false flag attack, just like NYC 9/11, Madrid 3-11, and London 7/7. This, along with Fukushima global radiation depopulation, symbolizes total globalist ruthlessness. It may also mark a turning point when "dispossessed majorities" in America and Europe decide they are tired of enduring stealth attacks. Please see our Oslo-Utoya 7-22 open source intelligence summary. LOOK WHAT'S HAPPENING OUT IN THE STREETS --GOT A REVOLUTION!!! CAN WE RECONCILE LIBERTARIANISM AND NATIONALISM? "The American Revolution was a libertarian revolution" observed Dr. Murray Rothbard. Yet "libertarianism" seems to result in porous borders, outsourced strategic industries, alien mafia infiltration of key power bases, misplaced permissiveness, and other evils. Many libertarians claim that the problem is that our "libertarianism" is simply not "pure" enough. Is it possible that we really need to reconcile this with something entirely different called "nationalism?" THE RELIGIOUS CRISIS: Why do so many Christian Churches keep feeding us "Israel First," "Third World First," and "New World Order" Spiritual Kool-Aid? Is it possible that fraudulent "religious plagues" have been concocted and spread just like malevolent "computer viruses" on PC's? The Age of Reason to help liberate us from irrational Biblical dogma, yet many Americans today irrationally place Zionist and other alien religious interests ahead of "America First" and their very own ethno-racial survival. Is it is possible to have a truly effective nationalist movement without first resurrecting ones very own indigenous tribal religion --to include a truly "white" religion for whites? We are explicitly honest (as usual) on this and other hot issues in our Religious Crisis section. THE PANDEMIC CRISIS: Is there such a thing as a medical or vaccination version of the "9/11 inside job" false flag attack? Why is there so much contrary evidence surrounding the alleged "swine flu" threat and other pandemic warnings? A former FBI Division Chief, two former U.S. military intelligence officers, numerous doctors, leading investigative journalists, publishers of major "alternative media" in America, and quite a few other experts warn that the establishment is deceiving you. Your life may depend on their message. Please check out our False Flag Pandemic alert page. Neo-Trotskyite "Neo-Cons" are flush with cash while genuine American Old Right patriots can barely pay bills. New World Order "predators" run amok because patriotic "counter-predators" are heavily suppressed and kept weak. Please take a look at specific cases and writings. Pictured at right: Randy Weaver on the back cover of Federal Siege. RELIGIOUS NATIONALISM -- THE ULTIMATE? ...A controversial, free-thinking Scandinavian immigrant who also drew the ire of authorities and had to leave the country, albeit for different official reasons than the Finn depicted below. This Danish-born lady helped pioneer the revitalization of the ancestral religion of America's Anglo-Saxon founders, exercising the same right to practice tribal religion that is also exercised by Jews with Judaism, Japanese with Shinto, and certain American Indian tribes with native American religion. 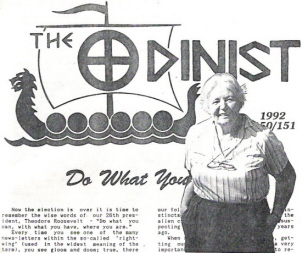 See how indigenous religion, folklore, culture, politics, economics, and other key social elements can support nationalism and a stronger, more viable society in the Else Christensen and The Odinist archive. Scandinavian immigrants have always had a reputation for being unusually honest, law-abiding, stable, innovative, and productive. This Finnish political asylum seeker got jailed by the Obama Nation and deported back to Finland for his opinions. Why? The publisher of America First Books featured in "Fukushima Radiation Present In America," by W. Leon Smith, owner, The Lone Star Iconoclast, October 14, 2012. "Aerial Dance of Mass Death and Genetic Destruction" Week-by-week Fukushima radiation and fallout projections and companion articles. 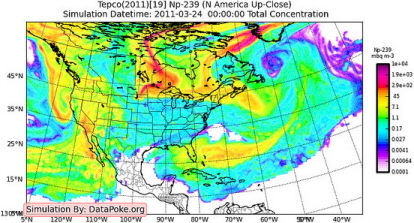 The plume chart above estimates the spread of radioactive Neptunium 239 over North America on March 24, 2011. Other very dangerous isotopes such as Plutonium 239, Cesium 137, and Iodine 131 provided a witches' brew of fallout. The general public was never adequately warned about this danger. This chart is just one example contained in the week-by-week chart series. 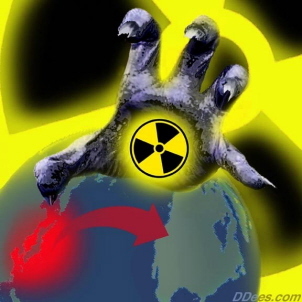 The tasteless, colorless, "invisible" radiation threat circling the Northern Hemisphere is extremely real. It threatens to genocide major portions of the Japanese people -- and much of America as well. 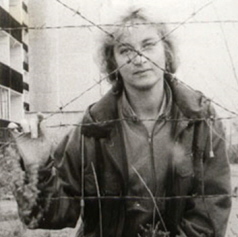 Each web page in this series also lists articles that provide deep background. Lastly, please also see our Real Time U.S. Radiation Monitoring Web Page. What you don't know will hurt you. 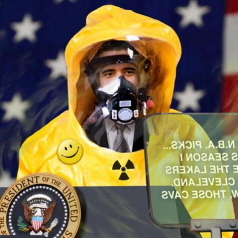 Fukushima radiation is silently impacting on all Americans. There are protective measures you must know about HERE. A leading whistleblower against radiation warfare and global depopulation archived HERE . She explains the role of Mossad-CIA's Stuxnet virus in the Fukushima melt-downs and how the Japanese, a large number of Americans, and many other peoples around the world are the targets of "soft-kill" genocide. How we are getting bitten by invisible radiation "snakes" that cause heart attacks, premature aging, and myriad other ailments besides cancer. The Fukushima catastrophe and other radiation threats are far from over, and you need to protect yourself. ...more HERE . 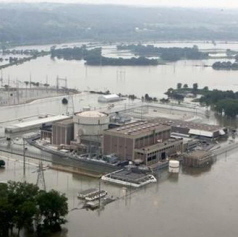 Why flooded Fort Calhoun, Nebraska in 2011 and other crippled nuclear power plants had experts on edge -- and the nuclear industry danger is not over yet . . . more HERE . down tell us what we need to know about what Fukushima can do to our future. . . more HERE . The Japanese and U.S. Governments -- as well as their national media counterparts, have proven themselves to be somewhere between criminally negligent and utterly incompetent in handling continuing nuclear-related crises. The America First Institute is trying to stimulate various forms of online as well as in-person conferencing to help provide solutions. Part of this process involves giving enhanced web page visibility to independent radiation experts such as Leuren Moret and Dr. Doug Rokke. Please help support a Fukushima and American nuclear crisis symposium project (a work in progress) by visiting our donation page Here. Another "Black Op?" 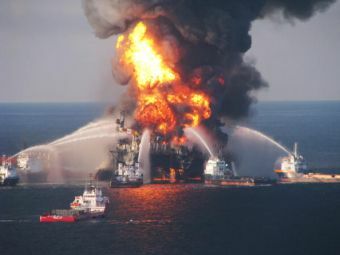 Please see "The BP-Gulf Catastrophe As a False Flag Operation" intelligence summary page (another lengthy "work in progress" web page that takes a while to load). Poisonous dispersants such as Corexit 9500 and hazardous hydrocarbons continue to blow inland and endanger the health of tens of millions of people. For deeper background on both "black ops" and "Info War" applied against America, please link to the free online Mission of Conscience Trilogy (particularly Chapter 37) or the Capt. Eric May archive, which includes current threat-related opinions. Why would this man, if he were alive today, like our ebook concept and our group of patriotic independent thinkers? Will We Get Hit With Another 9-11 Attack? The good news is that we are now beyond the first 9 months of the Obama presidency, which we believed were the most dangerous. The bad news is that as long as America remains saddled with an alien and malevolent power elite, the repeat false flag threat will never ever completely go away. It is a timeless tactic in hostile intelligence operations. In fact, many events are still going on behind the scenes with false flag characteristics. They include possible false flag anomalies behind the Nov. 2009 Ft. Hood shooting tragedy. While such incidents are not on the scale of New York 9/11 or the Madrid 3-11-2004 and London 7-7-2005 bombings, they nevertheless remain serious indicators. Please see our latest outlook. Why should we still feel thankful and proud to be Americans? Why does supporting nationalism, to include even certain forms of "white nationalism," make good long term business sense for American entrepreneurs as well as for big business? STOP ALL TROJAN HORSE EFFORTS TO DESTROY FREE SPEECH ON THE INTERNET!!! Why do deceptively-named "Hate Crime" initiatives before Congress threaten our most important rights? Why do the pressure groups that promote this require "eternal vigilance" and continued major citizen political action? Rev Ted Pike and other leading free speech activists have important answers. Please also learn how this type of very dangerous "Trojan Horse" legislation has already destroyed key free speech rights in Canada and Britain. Why is Merle Haggard (right) singing about America First? How can we deal with extreme problems facing America and still act like normal people? What is the "International Nationalist" concept and why is it so important today? Not Ready to Make Nice. The Dixie Chicks thought George Bush was an embarrassment to real Texans. 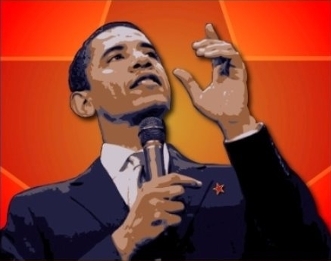 Many others think that Barack Hussein Obama II is no better in regard to real Americans with real birth certificates. Are Americans being lied to by their government and national media about the underlying realities involving the economy, 9-11, Zionism, racial relations, depleted uranium, the Federal Reserve, American history, protection of civil liberties, the war in Iraq ...in fact, just about everything else you can think of? Jefferson today: Thomas Jefferson acquired enough books in his personal library to restock the Library of Congress after it was burned down by the British during the War of 1812. Today that entire library could be loaded electronically on a portable PC with just a few mouse clicks. We discuss the advantages of ebooks further in our value proposition section. The founder of the University of Virginia, Thomas Jefferson also exemplified a genuine Faustian search for truth and knowledge. "There is not a truth which I fear or would wish unknown to the world." We discuss why dissent is patriotic and why you should not be afraid to demonstrate and openly and freely search for truth in our relevance section. Lastly, Jefferson tried to be scientific. Similarly, we explain in our resolving ideologies section how we try to be analytical rather than dogmatic. We keep our minds open to multiple perspectives. At this web site we try to fearlessly explain a great many negatives suppressed by controlled national media. Nevertheless, it still it is very important to keep in mind the positives. Even if we succeed in convincing you that all the negatives we discuss are completely true, if an individual becomes exclusively focused on negatives it can begin to run him down mentally and degrade his emotional and physical health. So let us cheer ourselves up for a moment and look at the positives. America still has greater freedom of speech and right to personal expression than most other countries in the world, to include Canada and Britain. This includes the right to speak out against Zionist criminality and irresponsible Holocaust exaggerations. To the best of my knowledge, people involved in the 9-11 Truth Movement and other dissident political activities have been free to publicly protest and demonstrate. Generally speaking, people still have the freedom to peacefully protest in public against the war in Iraq and the Bush Administration's contemplated war against Iran. We are still free to speak out against U.S. Government corruption and incompetence. We are also still free to go to the place of worship of our choice or remain skeptical and uncommitted towards all religious and political ideologies. We are also still free to choose our occupations and where we wish to live in America. The American political system still has tremendous mechanisms in place for peaceful grass roots political organizing to make a real difference. Probably one of the biggest causes of evil in America is simply public apathy at the grass roots level rather than sociopathic people at the top. The Achilles heal for the plutocrats and other so-called "Establishment elitists" (often a euphemism for "Zionist neo-cons") involve political offices at the state, county and local municipality levels. This includes local draft boards, county sheriffs, county judges, city government, and precinct panels controlling local political parties. As much money and national media smear power as the "elitists" have on a national level, it is still not enough to compromise everyone they need to buy off at the grass roots level to keep things completely under their control. Two good sources for tips and tricks on grass roots organizing are Jim Condit, Jr. and the "Dynamite Redhead" Devvy Kidd. (Please see my site map regarding their web sites as well as links involving other activists regarding various issues). America still has strong memories of libertarian traditions. The American Revolution was fundamentally a libertarian revolution. Despite the best efforts of enemies of freedom in America to continuously find sneaky, incremental ways to curtail our civil liberties, there still remains a strong public sentiment in favor of liberty. Although the white middle class has been steadily declining as a percentage of the total population, in absolute numbers America still has a white population roughly the size of England, Germany, France and some other white countries combined within its borders. As much as America has lost industrial infrastructure in the past few decades, it still has tremendous infrastructure in terms of sheer size and magnitude, to include tremendous research and development infrastructure in its major colleges and universities. As much as the American economy has become distorted away from the production of quality tradable goods and towards services in the past few decades, it is still has a significant percentage of the world economy. Americans still enjoy a high standard of living relative to most of the rest of the world. The continental U.S. still encompasses tremendous natural resources. America is still a very big country with a lot of elbow room and enough different groups that one is bound to find like-minded people and support groups somewhere. Last, but not least, we still have a free Internet. And please let me emphasize: Thank God for the free Internet! This is probably one of the most important tools in the history of mankind to permit a true free market place of ideas. With a free Internet, we stand a good chance of evolving better ideas among men of good will to identify, sort out, and solve our problems in a rational and peaceful manner. All of this having been said, America's positives have been steadily eroding in the past few decades. They have become increasingly encumbered with "caveats" and "exceptions" that threaten to make us die the death of a thousand knife cuts, even if our political liberties and economic base are not yanked out from under us completely. I feel strongly that if we do not start working much harder right now at all levels to address and turn around deteriorative trends, the positives will eventually slip completely beyond our grasp. America will become overtaken and guided by the negatives. If we do not break the mindlock that shackles our nation, we will in fact be destroyed. So please do not allow my discussion of positives make you complacent. Why does white nationalism makes good long term business sense for American entrepreneurs as well as for big business? Up until they became invaded by massive waves of third world immigration following World War II, homogeneous northern European countries such as Finland, Sweden, Iceland, Norway, Switzerland, and the Netherlands had the highest quality work forces in the world in terms of literacy, innovativeness, technological adaptiveness, and productivity. The organizational behavior problems of businesses are similar to those of countries on a much broader social scale. They require a certain level of ethnic and racial homogeneity and cohesion to sustain real economic growth and maintain a high level of productivity. Racial "diversity" actually increases various forms of internal strife. Affirmative action racial politics seriously undermine real meritocracy. On a very broad social level, the brand of nationalism (or more accurately "popular sovereignty") that I lean towards at this web site is very similar in concept to the McKinsey 7-S framework advocated by Thomas J. Peters and Robert H. Waterman, Jr. in their classic work In Search of Excellence: Lessons From America's Best-Run Companies. They talk about the virtues of "loose-tight" management that encourages local initiative, and I talk about the importance of decentralized decision nodes and individual liberty. They talk about the need for "shared values" (which includes shared "superordinate goals"), and I talk about the need for shared racial and cultural identity. They talk about how all the different "7-S's" have to pull together to create an effective business team, and similarly I address how all the elements of popular sovereignty must come together in order for a people to survive and determine their own destiny. Selective forms of patriotism ("jingoism") that focus on limited issues do not cut it any more, if ever they did. Conservatives must stay in the fight until all the key elements of popular sovereignty work together effectively. They must also be able to clearly identify their racial and ideological enemies. In the long run, it is far less costly to society and far more productive for businesses if they reinvest in a homogeneous society and maintain domestic control of their most vital manufacturing infrastructure than if they outsource industry and racially mix up their own work forces. Homogeneous countries such as the aforementioned countries up until World War II were able to show steady economic advancement for centuries. In contrast, America's mania for racial "diversity" following the 1965 immigration reform act has only opened up tidal waves of illegal Third World immigration. Instead of promising centuries of stability and real progress looking forward, America's multi-racial, multi-cultural, globalist policies seem to be heading our increasingly bankrupt society towards a total disaster that may be only years, if not a decade or two away. Please note my discussion of deteriorating economic and social vital signs in my Critical Issues section. In regard to the Establishment's contempt for "nationalism" in the name of "free trade," multi-culturalism," "globalism" and other modern liberal love objects, just wait for the day when China decides to confiscate the remainder of America's investment in its manufacturing infrastructure. (Please see my Preface to Ways That Are Dark: The Truth About China). Please also wait for Japan, China, and other countries that hold gigantic dollar reserves from America's out of control balance of trade deficits (resulting from a loss of competitive domestic industry that can make quality tradable goods) to decide to dump their dollars and bond holdings and send America into a hyperinflationary spiral. In regard to the racial diversity trend which is causing the white population to steadily decline by about 1.5% a year as a percentage of America's total population, please see my Preface to Civil War Two: The Coming Breakup of America by Tom Chittum. The current demographic trends do not paint a pretty picture, to say the least. The ultimate end game of white dispossession can be seen today in South Africa, where one third of the white Afrikaner population, or about a million whites, are now homeless, destitute, unemployable, and oppressed by black Marxists. Lastly, please be clear that I am speaking about a libertarian form of white nationalism that seeks to minimize government. This is the "genetic bottom up" version I discuss in my "Reconciling Opposing Political and Economic Ideologies" series. This was in fact the ideology of America's Founding Fathers. Unfortunately today many libertarians, such as certain anarcho-libertarian lecturers at the Mises Institute (www.mises.org), tend to use the term "nationalism" in a negative sense. They connote an authoritarian, statist, socialistic version that encourages corrupt crony capitalism. Many of them will not even go near white racial issues, much less connect the words "white racial" with "nationalism." Some of them are scared to death of being called "racists" and might even turn white and faint on the floor if labeled "anti-semitic." This is unfortunate because many Mises Institute lecturers make quite a few very excellent points across a wide variety of topics. In fact, I have listened to just about all of their archived lectures and recommend them, subject to my aforementioned reservations. However, here at America First Books we feel compelled to summon internal fortitude and confront the really hard issues. The ultimate issues involve hard realities that must be confronted head on if we are to ever return to sustainable prosperity. Early Americans prospered from a libertarian version of white racial nationalism that was also known as 19th century classical liberalism (not to be mistaken with "modern liberalism," which is often the opposite on many important issues.). In the long run, this can simultaneously minimize the harmful effects of government intervention, guard against alien subversion, and preserve the underlying cultural and genetic integrity of ones society. In the long run this approach can also help make America a more viable, more productive, more secure, and more humane country in its relationships with other nations around the world than the fraudulent policies advocated by modern liberals. Far from being irrelevant, this viewpoint is now more timely than ever given growing evidence of massive system dysfunction and increasing breakdown in America today. Just because the King and his treasonous Establishment compatriots wear no clothes does not mean that you have to remain intellectually naked or look foolish as well. (For more on the real underlying nature of the "treason" please see Final Judgment, The High Priests of War, Dirty Secrets, The Judas Goats, and The Viper's Venom). If there is anyone who deserves to turn white and faint on the floor first, it is the criminal Zionists who are trying to take away our First Amendment rights in order for them to continue covering up their crimes, not us. Merle Haggard: sings about crossing America twenty times a year and seeing the highways and bridges and other parts of the country falling apart (13% of bridges are rated structurally deficient nationwide). He wonders why not build "America First"? Check out his video and lyrics! Time to bring troops home, he says, and fix problems here. Speaking of artists and celebrities, the Dixie Chicks (who call Bush a disgrace to real Texans), Kris Kristofersson, and Linda Ronstadt (who calls Bush an idiot) probably agree. Willie Nelson believes the World Trade Center Towers imploded from controlled demolitions. Watch Willie Nelson's interview with Alex Jones. Former Minnesota Governor Jesse Ventura also believes controlled demolitions were used by insiders. Check out Neil Young's free online album titled "Living With War" with songs "After the Garden," "Shock and Awe," :Lookin' For A Leader," and "Let's Impeach the President." "In America we are fed propaganda and if you want to know what's happening in the world go outside of the U.S. media because it's owned by four corporations, one of them is this one (ABC)." "Go outside of the country to find out what's going on in our own country because it's frightening." "I think Democracy is threatened in a way it hasn't been in 200 years and if America doesn't stand up we're in big trouble,"
". . . I do believe it's the first time in history that fire has melted steel - I do believe that it defies physics for the World Trade Center Building 7, which collapsed in on itself, it is impossible for a building to fall the way it fell without explosives being involved - World Trade Center 7." "One and two got hit by planes, 7 miraculously the first time in history, steel was melted by fire - it is physically impossible." "I don't know but to say we don't know and it was imploded in a demolition is beyond ignorant, look at the films get a physics expert here from Yale, from Harvard, pick the school, it defies reason." (See Rosie's blog page that started it all. Please also visit our site map and audio archive to find numerous links to 9-11 Truth sources). Last, but not least, Aaron Russo is warning us about deeper, darker, longstanding trends with his documentary America: From Freedom to Fascism (see screening locations/dates here). This is really excellent. Buy the DVD or watch it for free on Google video. A great industrial nation is controlled by its system of credit. Our system of credit is privately concentrated. The growth of the nation, therefore, and all our activities are in the hands of a few men. . .
...under the ‘boy emperor’ George W. Bush (as Chalmers Johnson refers to him), we have entered the Dark Ages in earnest, pursuing a short-sighted path that can only accelerate our decline. For what we are now seeing are the obvious characteristics of the West after the fall of Rome: the triumph of religion over reason; the atrophy of education and critical thinking; the integration of religion, the state, and the apparatus of torture — a troika that was for Voltaire the central horror of the pre-Enlightenment world; and the political and economic marginalization of our culture…. 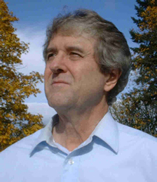 The British historian Charles Freeman published an extended discussion of the transition that took place during the late Roman empire, the title of which could serve as a capsule summary of our current president: “The Closing of the Western Mind." The international nationalist concept: This is important because it provides an ideological formula that enables countries to grow strong from within while maintaining peaceful and mutually supportive trade relationships with their neighbors. A policy that promotes free enterprise, individual liberty, and internal development of science, technology, and industry, while simultaneously avoiding imperial growth and foreign entanglements (viewed as ultimately destructive to individual liberty) is usually identified with what is known as 19th century classical liberalism. We support nationalists everywhere, provided that they adhere to classical liberal principles. We believe that charity must begin at home, and that people must first get their own houses in order before they can become good neighbors to others. We also believe that human communities are biological entities that require a certain minimal level of ethno-racial rootedness, cohesion, cultural coherence, identity, and altruistic self-reinvestment in order to function in a healthy and productive capacity. Therefore, in regard to those who share our principles, we also support Canada First, Ireland First, Britain First, Norway First, France First, Ukraine First, Russia First, Japan First...perhaps you now get the picture. I discuss classical liberal concepts in some depth in my "Resolving Ideologies" and "History Reinterpreted" sections. See also our listing of nationalists from other nations at our site map. Also, to watch a cool animated music video click here on "Européennes 1999" by the French National Front that artistically expresses this concept (2:34; please give the 6.7 MB video file time to load on your PC). Question 1: What should one do if one is very healthy and physically fit? Answer: Continue to eat right and stay on an appropriate exercise program. Question 2: What should one do if one is extremely obese and malnourished? Answer: Eat right and get on an appropriate exercise program. Only one has to be more conscious of the problem and more determined about executing a plan to get healthy again..
A likely learning point here: There are positive goals we should remain focused on regardless of current conditions. It is often healthier to remain focused on positive goals than to define oneself simply by reacting to negatives. Now let me get to the political punch line. Question 1: What do people tend to do if they have a wise, benevolent government that guarantees individual liberty? Answer: They tend to grow more prosperous and become more empowered on a local level. Question 2: What should one do if one has a government that is becoming an intolerable tyranny? Answer: One should continue to try to remain empowered and organize on a local level, even if it means forming a nation within a nation to defend common interests that opposes the tyranny of the central government. This local grass roots organization and empowerment is a necessary prerequisite before any other actions become feasible to defy tyranny. Only one has to be more conscious of the problem and more determined about executing a plan to get healthy again. Are Americans being continuously lied to by their government, national media, and other institutions? You betcha. Both the government and national media lie about just about everything. America has become a high fraud, high greed, highly alienated society run by extremely arrogant and selfish special interests who are more than happy to sell out domestic manufacturing, destroy the middle class, gut our civil liberties, and waste American power and prestige on misbegotten foreign military adventures. I talk about depleted uranium, runaway government, and other pressing matters in my Critical Issues section. In regard to American history, please see Gary North's article "Monsters, Limited." 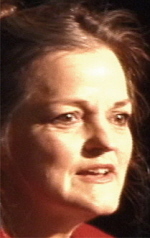 See also the "King Lincoln" archive at lewrockwell.com. This is barely getting warmed up. In regard to economics, we strongly agree with the "Perfect Storm" scenario espoused by such financial pundits as Dr. Marc Faber, James Puplava, and Jim Rogers. At the rate in which America's overall debt is galloping out of control, combined with its structural inability to halt its chronic balance of trade imbalances or reverse its decline in domestic manufacturing, we are very likely headed towards a hyperinflationary depression, perhaps more severe and convulsive than the crisis which left half the Argentinean population in poverty in the 2001-2003 time frame. Check out Columbia Business School music video spoof of Fed Chairman Ben Bernanke here. How could America have maneuvered itself into such a horrible situation? What measures should Americans take on an individual, community, and national level to survive and get out of this mess? A major purpose of this ebook store is to provide realistic background on the basic "who, what, where, why, and hows" behind trends which ultimately effect your life as well as offer constructive strategies looking forward. Over time we would like to expand our offerings of intellectual treasures currently gathering dust in the back stacks of college libraries that reflect a wide variety of viewpoints regarding such areas as politics, economics, anthropology, religion, science, technology, history, home schooling materials, nutrition, health and fitness. We would also like to provide a forum for intellectually honest authors who are being unfairly suppressed or ignored by arrogant, abusive, corrupt, or anti-First Amendment mainstream media. Come hell or high water, we would like to remain a home port for seriously analytical contrarian thinking, and in particular for full metal jacket paleoconservative commentary.